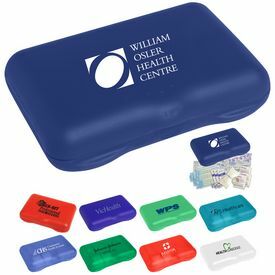 The use of promotional first aid kits are preferred by any company as a mean of promoting their brand name and logo. 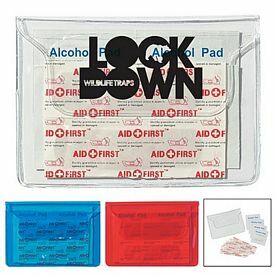 People need to be prepared for any accident that could endanger their lives. 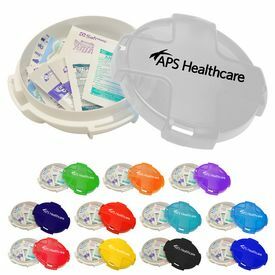 This is why logo first aid kits serve to be the best sort of promotional items and can be sent as a gift to your customers. 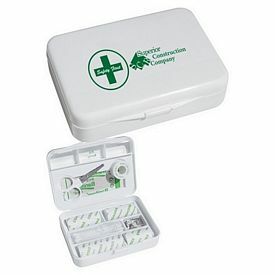 A branded first aid kit is a necessity that every person prefers to keep in their house. 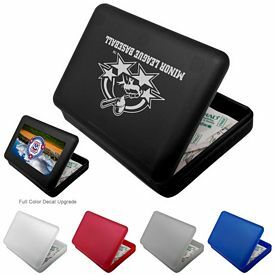 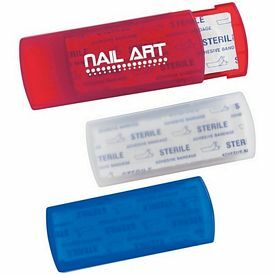 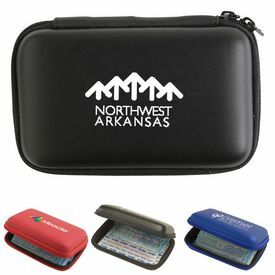 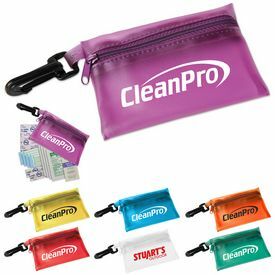 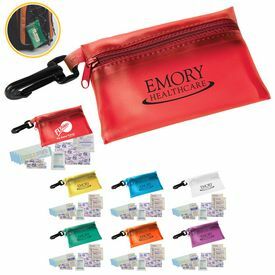 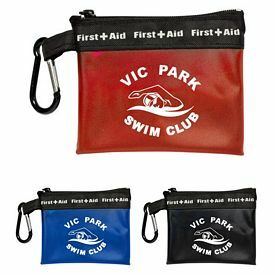 The customized first aid kit with your logo imprinted on it will allow you to promote your brand name to the customers. 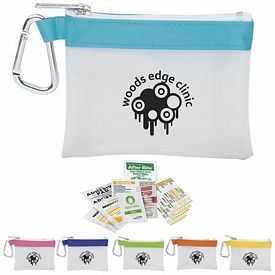 There are many reasons why customized first aid kits are an integral part of a great marketing idea and strategy. 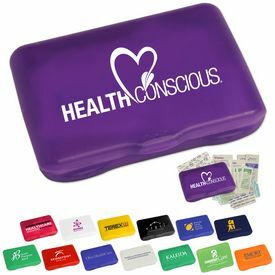 A company giving out logoed first aid kits shows to their current customers as well as their employees that the company is concerned about their well-being. 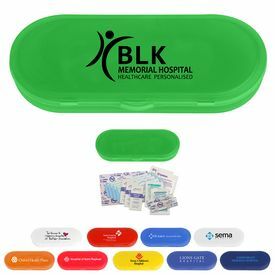 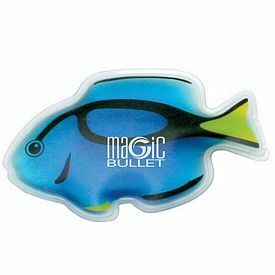 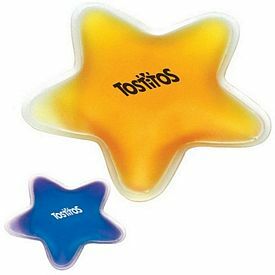 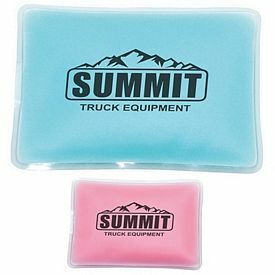 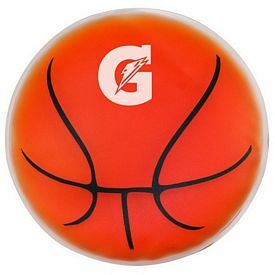 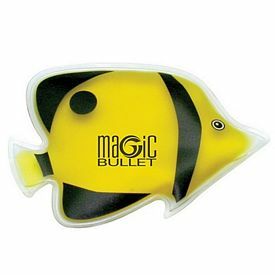 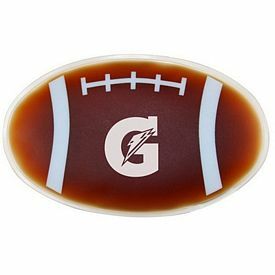 People will love to buy your company’s products as they will have the feeling that this company will provide exceptional promotional products for them. 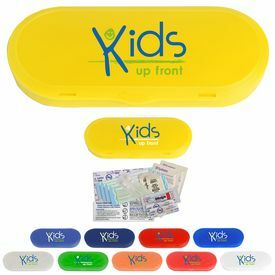 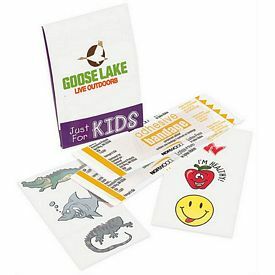 Personalized first aid kits can be branded with your company name and logo. 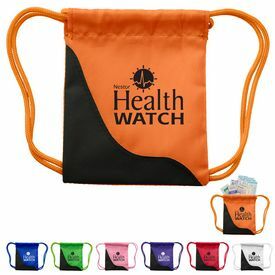 In places like tradeshows, there is a high chance that people might get hurt due to the huge crowds that assemble there. 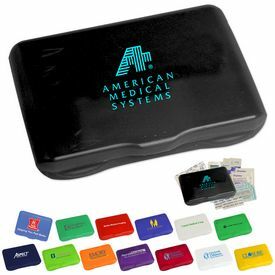 In such a time, if a person comes across the customized first aid kits of your company, they will remember the name of your company. 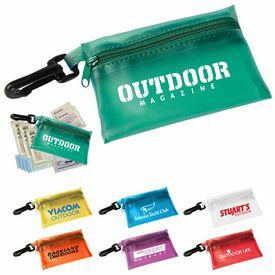 Promo first aid kits can be taken to company picnics and many other places for the purpose of promotion. 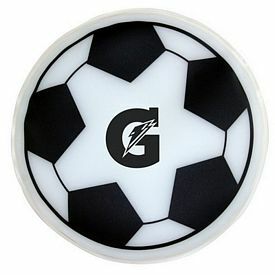 When enjoying oneself in these sorts of events, the people present there will bring their families. 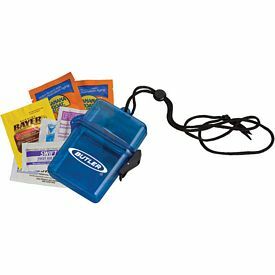 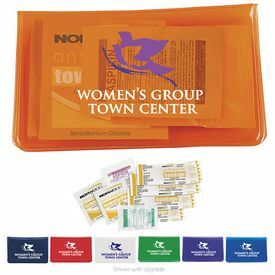 Moreover, any small injury can be promptly treated by promotional band aid kits also included in the kit. 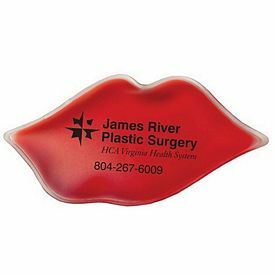 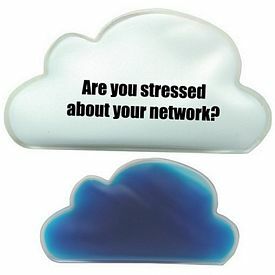 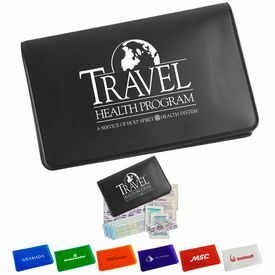 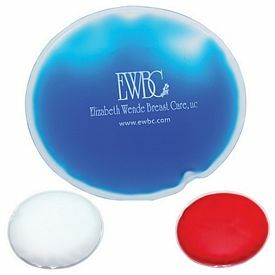 In this case, if people will get to use your company’s promotional health care items, that your association has brought along. 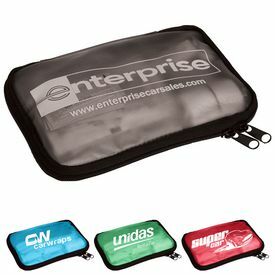 It will make the people remember the name of the company and the way in which it helped them. 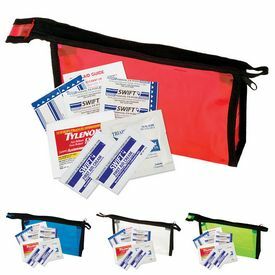 The next big advantage of promotional first aid kits is that they are inexpensive. 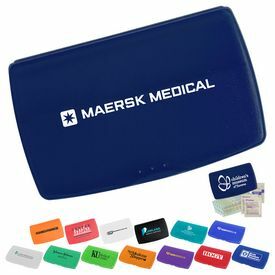 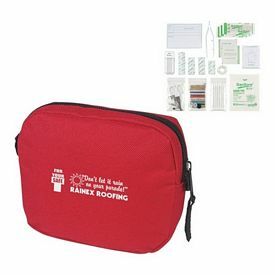 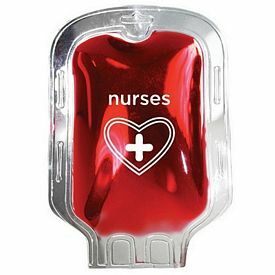 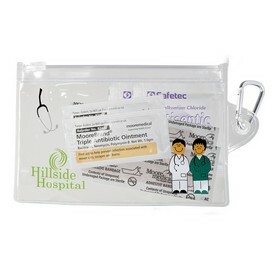 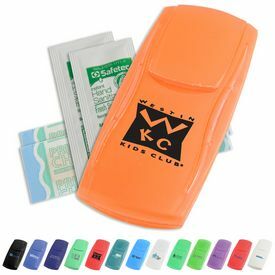 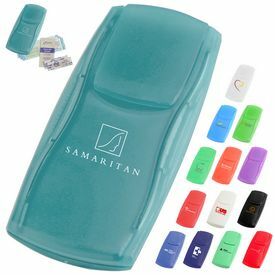 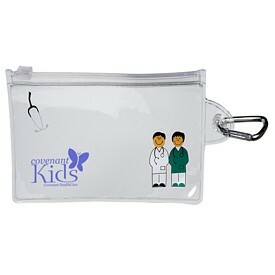 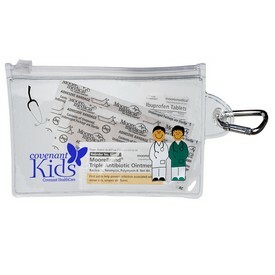 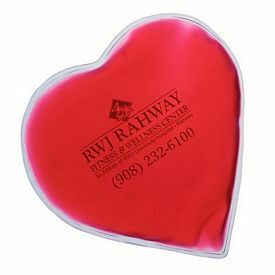 Our company can supply these personalized first aid kits at very low prices completely branded with your company logo. 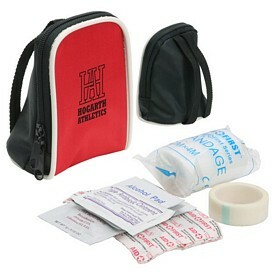 As a result, when you use these customized first aid kits from our company, you end up gaining a lot on your own. 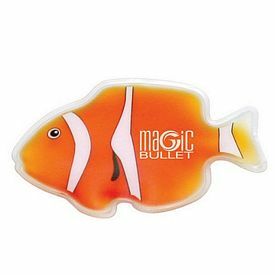 This is because the investment in these products being comparatively low, the aspect of making profits is considerably increased. 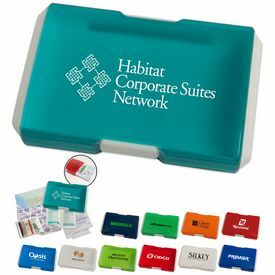 Hence, the promotion of your company is ensured while making just a small investment.